What kind of Mattress are you looking for? A box-spring (or divan in some countries) is a type of bed base typically consisting of a sturdy wooden frame covered in cloth and containing springs. Memory foam softens in reaction to body heat, allowing it to mold to a warm body in a few minutes. Newer foams may recover more quickly to their original shape. A hybrid mattress consists of a blend of two or more mattress types. Gel Foam Mattress are made of tiny beads of gel that help to along with having the qualities of a memory foam mattress, help to stabilize temperature. Double Sided Mattresses are designed to be flipped and slept on either side. 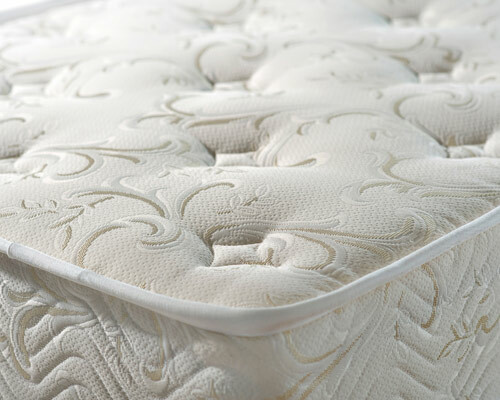 This allows the mattress to maintain its shape and firmness for a longer period of time. Europtop Mattresses are very similar to Pillow Top Mattresses, but are softer and have a more uniform like appearance in their stitching. Pillow top mattress have an extra layer of padding stitched right on top of the mattress for additional softness and comfort.